According to an unnamed source, AT&T's final decision on a potential Galaxy Note 7 sales and replacement stoppage could arrive as soon as Friday, Bloomberg reports. Since the carrier is in the midst processing returns of the literally hot Samsung device, alternative smartphones will likely be issued in their place. A separate report from The Wall Street Journal notes all major cellular providers in the U.S. are allowing customers to replace their Galaxy Note 7 with another device. This includes units already replaced as part of a global recall which began last month. Replacement offers from AT&T, Verizon, Sprint and T-Mobile were activated to assuage customer concerns as Samsung and the U.S. Consumer Product Safety Commission complete an investigation into the combusting handsets. So far, the company had deduced a "battery cell problem" in affected units could in some cases lead to overheating. Samsung's troubles began shortly after the Note 7 launched in August. 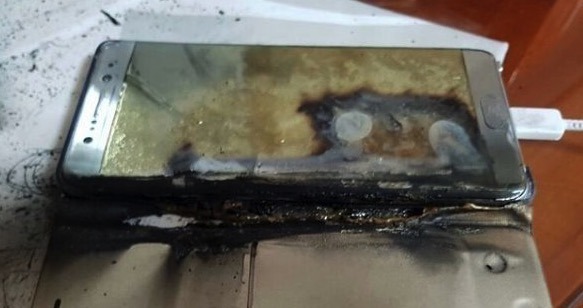 Reports of exploding handsets emerged in South Korea, where users experienced hazardous hardware failures while charging the device. Subsequent incidents illustrated the issue was not limited to charging, prompting Samsung to stop shipments and ultimately issue a voluntary global recall of 2.5 million devices. Customers in the U.S. returned some 130,000 affected Galaxy Note 7s prior to the recall. Samsung said half of all recalled units were exchanged in September. More recently, however, a Galaxy Note 7 user in China claimed his replacement unit also exploded. Whether or not the incident is related to the original battery problem is unclear. Ironically, a report in September alleged Samsung rushed the Galaxy Note 7 to market in an attempt to capitalize on Apple's "boring" iPhone 7 release. Despite significant feature additions, suppliers were pushed to accommodate a launch set ten days ahead of schedule. One of those enhancements is a high capacity battery 16 percent larger than last year's Galaxy Note model.